Ferdinand Piech has distanced himself from his successor-in-waiting, CEO Martin Winterkorn. This weakens Europe’s largest carmaker in the midst of a big cost-cutting effort. It also exposes flaws in VW’s governance and divisions in the controlling Porsche family. 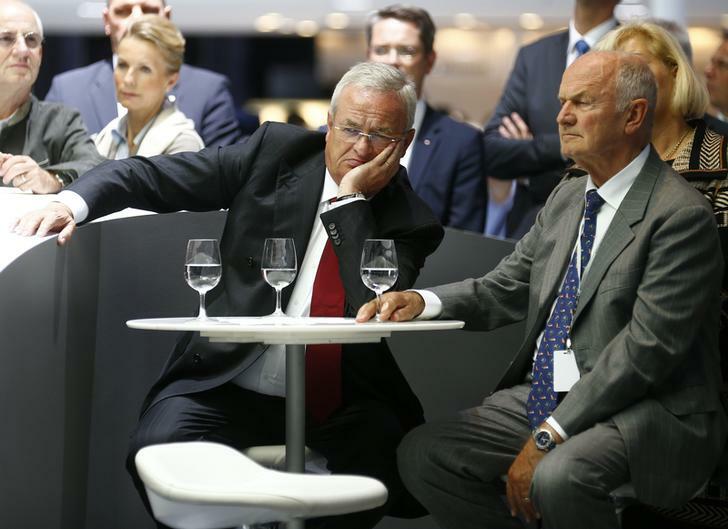 Volkswagen's CEO Martin Winterkorn (C) and Ferdinand Piech, chairman of the supervisory board (R) attend a media preview day at the Frankfurt Motor Show (IAA). Volkswagen Chairman Ferdinand Piech has publicly criticised Chief Executive Martin Winterkorn, telling German magazine Der Spiegel on April 10 he has “distanced” himself from the carmaker’s CEO. The state of Lower Saxony, where VW is based and which owns one-fifth of VW’s voting shares, as well as the carmaker’s labour leaders who represent half of the 20 members on VW’s supervisory board gave their backing to Winterkorn. Wolfgang Porsche, chairman of the Porsche SE holding company which controls 51 percent of VW common stock, on April 12 also said he supports Winterkorn.”The comment from Dr Piech represents his personal opinion which has in substance and factually not been coordinated with the family,” said Porsche, a cousin of Piech and a member of VW’s supervisory board. Frankfurter Allgemeine Sonntagszeitung reported earlier on April 11 that Winterkorn would not allow himself to be edged out of VW, citing unnamed sources at the carmaker.